This is our story of the launch of a new drinks company and a new whisky brand. You will notice things look quite sparse around here. Apologies for that, but it is very early days, and brand design is one part of the process which is still very much under development. Without some nice fancy graphics, perhaps it is a bit early to start telling the story, but hey, here we go. So where are we? To sum up as I type we have sampled and selected some very nice whisky, and after a less than smooth journey, we now have a trademark, but more of that later... We have a team of talented designers beavering away to create the label. We have a WOWGR, a what I hear you ask, well dear reader, it is the mysterious number issued by customs which allows us to trade in alcohol under bond. We are also working to introduce a selection of fine craft spirits from overseas to British drinkers. The first two are lined up; Smögen Whisky and Strane Gin, from Sweden. 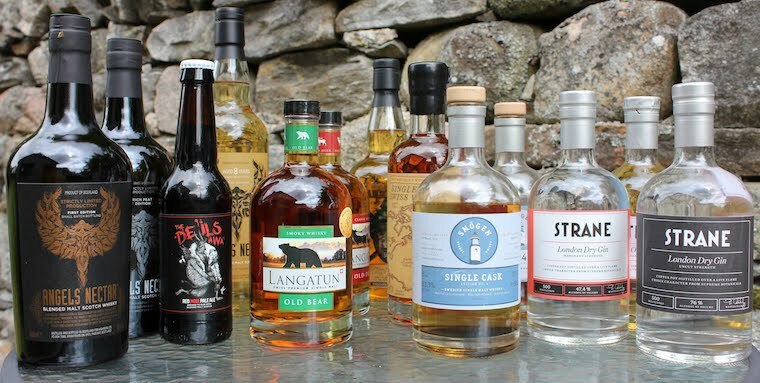 We will be bringing them to the UK soon (there is some bureaucracy to deal with, the details of which I won’t bore you with), but in the meantime, please follow @SmogenWhiskyUK and @StraneGinUK on twitter.